PowerSchool is such a double-edged sword. 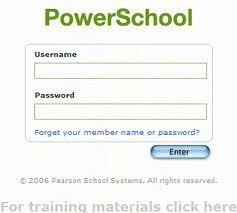 You know PowerSchool – it’s the nifty electronic grade book that allows parents to know at every minute of the day how their kids are doing in school. It’s both a gift and a curse. The gift comes because no longer are we surprised when the kids bring home their grades, good or bad. The curse is that every flipping day – if you’re neurotic like me and have the high school e-mail you daily updates of your kid’s grades – you’re faced with the reality that while your kid said he understood his biology assignment, more than likely he didn’t. A couple days ago my oldest told me I’d ruined his day, and it wasn’t even 7 a.m. That’s because I checked my e-mail at 6:30 a.m. and saw the daily PowerSchool update. And lo and behold, his bio grade had fallen an entire letter since the previous day’s update. I didn’t rant and rave and talk about wasted potential – not then. I didn’t want to ruin his day. I don’t live to ruin the days of my kiddos, but good luck convincing them of that. But I asked him why he’d received a big fat zero on an assignment I was pretty sure I’d seen him working on. He didn’t know, he said. He’d turned it in. “Did you really?” I asked, knowing even as the words left my lips that I was edging into the danger zone. But I couldn’t help myself. Hmmm. I don’t know. Why don’t I trust him? Could it be because of his sometimes creative massaging of the truth? Except that I was 99 percent sure he had done this assignment. So I told him he needed to ask his teacher about it. Maybe she’d made a mistake. You’d have thought I told him he’d have to take it up with Dolores Umbridge. He looked stricken. Couldn’t I ask? Actually, that’s OK with him. And that’s what I don’t get. Neither his dad nor I is a shrinking violet. We face our issues head-on. We don’t take getting stepped on lightly. We advocate for ourselves. And we do it in front of our kids. I mean, we’re not going around raising hell all the time. But many’s the time my husband had argued with someone about an overcharge. The kids are always rolling their eyes behind his back. Myself, I take the “good cop” approach until pushed to defend myself, which I’ve also done in front of the kids many times. But our oldest – he sort of takes a Zen view of the world, at least this part of it. There must be some reason his grade fell a whole letter grade. Who is he to question fate? The grade is but one step on his path to enlightenment, blah blah blah. Let him get slighted by the xBox while he’s playing FIFA soccer, though, and hoo boy. There’s hell to pay, xBox. And if his siblings short him a cupcake or donut or eat the last Little Debbie cake, watch out! So I’m puzzled. Is this his way of rebelling against his dad and me, by becoming passive? I am a little worried. Typical teenage boy behavior, trust me.